My name is Angie and I am a: Christian, wife, mother of four + one, “Grammie” to two sweethearts , sister, sister-in-law, daughter, aunt, great-aunt, cousin, friend, writer, teacher, neighbor, sweet tea & coffee-drinker, dog owner, music enthusiast, (especially folk, indie folk, Americana, blues, bluegrass, 70s, R&B, Southern rock), beach lover, photographer, disdainer of pro-football and saggy pants. I have collections of glass chickens, playing cards, coffee mugs, decorative plates and old books. The only things I collect now – and actually use – are handkerchiefs I find in antique stores. I stay on the computer too much and don’t exercise enough and my house isn’t spotless, but presentable. There is much more I could say, but I won’t bore you. In the words of Mr. Rogers, won’t you be my neighbor?
. 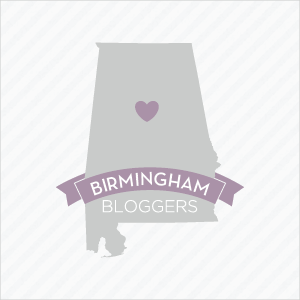 I’m also a member of Birmingham Bloggers. Check them out HERE. Hi Angie, Thank you so much for stopping by and liking my blog. Blessings. But don’t say it is God speaking through the situation. God’s uses life, yes, to teach us, but He only speaks to us through Scripture. We need to be very careful in interpreting our thoughts as prophecies.